...it's been quite awhile since I've posted, so here's a quick update. While I've been enjoying quality family time, refocusing my energy on independent teaching projects, and being an active freelance musician across Florida - the time has really flown by! 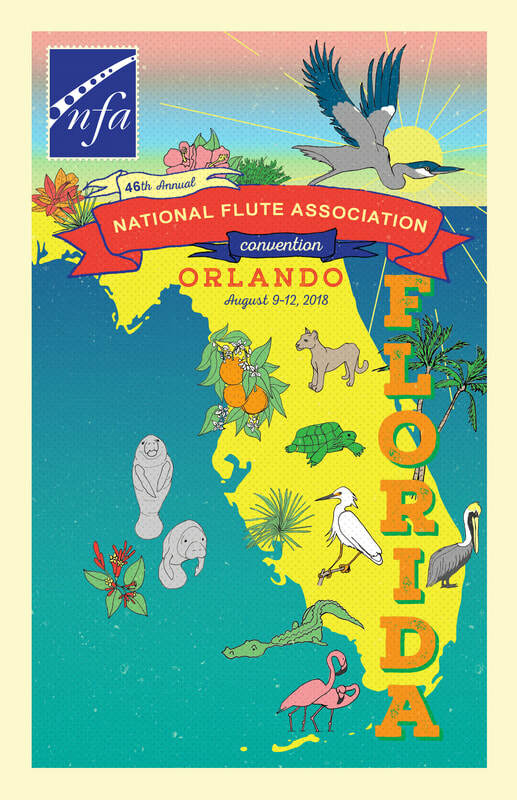 As you might be aware, I'm program chair for the National Flute Association 2018 convention in Orlando - our 46th annual convention! This has been a really exciting opportunity (and a very time-consuming one) that has also weighed heavily - many very difficult decisions, and I'm sure there are many more to come. Hopefully as many people as possible will join us for this Florida Flute Fest, August 9-12, 2018, at the Orlando Hyatt Regency. Check out all the activities for participation, located on the lower left side of the convention tab. If you are a student of any age, we especially hope you will attend! There's an amazing FREE Youth Flute Day opportunity on Saturday that is available to all students - please contact me for more info! AND a follow-up day to Sunday that will be even more exciting. Just wanted to check in to send something out there - and invite everyone to the party! 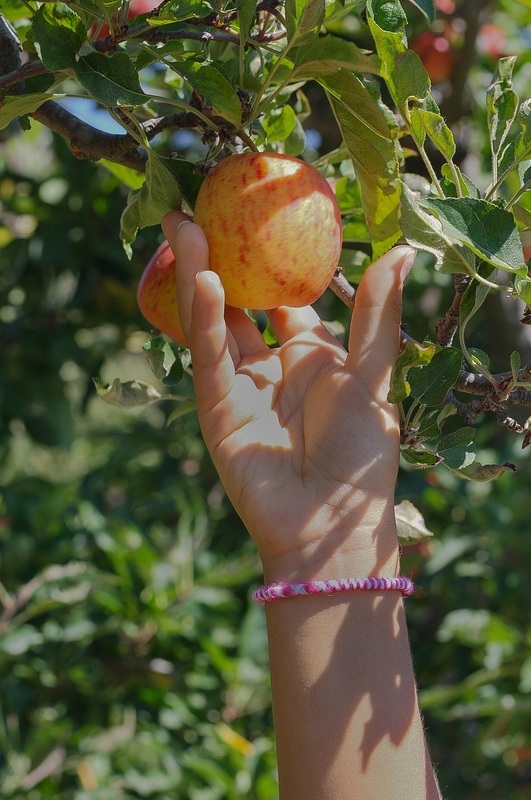 Recognizing we are all works in progress, I am acutely aware of how I learn through teaching, doing, being. I don't believe we're ever "done," at a point of having reached the ultimate stage where there's nothing that could be different or better or improved. With that in mind, how do we record ourselves without losing our minds? Will it ever be good enough to actually record?! Recording is inherently a vehicle for evaluating, right? It provides a platform to "get things just right" since it will be preserved for posterity . . . or at least until someone might find it and take a listen (or look). When we perform, we're in the moment, we send it out there, and it's gone forever (unless someone records it!). How do we make these two presentations more related? Making recordings can be a daunting task - there's the nervousness akin to performing while faced with the glow of the red light . . . this can be even more challenging than an actual performance because there's no human interaction. Sometimes, though, knowing we can just do another take will be the confidence-boost to just go for it! And then there's the joy in knowing we have something usable down already, anyway - so let's just see what we really *could* do! 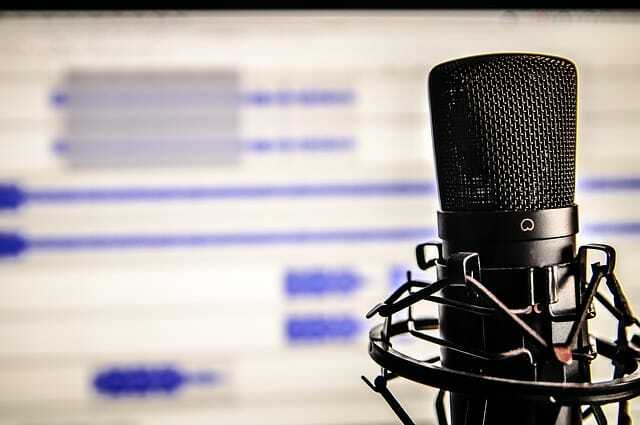 To me, knowing a recording is a snapshot of where we, our ideas, our interpretation, our development/progress - all are right here, right now - promotes growth. It helps me understand this is a learning opportunity. The trick is to do it often enough so we get used to the process and all the "stuff" it might dig up. If we're hoping our "winning takes" will magically happen when pressing record we are setting ourselves for a really unpleasant, unproductive experience. Play a test recording (or more!) in your practice room, for people you don't know, for people you do know, for your dog/cat/hamster. Jot down your observations of how it went and how you felt. Then listen to the recording, and re-evaluate your performance. Do the two match, or are your "while playing" observations excessively critical and overtake the good stuff you're actually delivering? This is important information - and especially influential (positive or negative!) when you start recording. [How many times have people listened to tracks they had mentally rejected and stopped, only to discover they were their favorite takes when reviewing?] Trying this early test run session will also let you know - very clearly - what areas of your rep need more attention. They'll be the ones stressing you out while you perform! If at all possible and your submission deadline permits, perform whatever you are recording (for real, you know - look nice, wear shoes, etc.) at least once, perhaps a few times. By all means - record these performances, too! This helps iron out some of the details - will encourage a greater sense of flow for the piece and a more confident presentation. 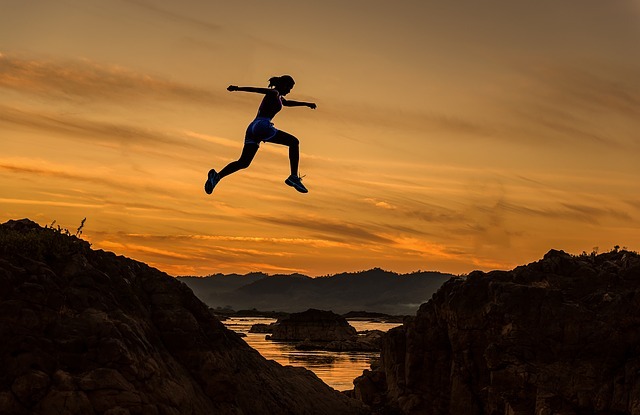 Having a seasoned approach will take the edge off whatever you are trying to eventually get down and also help you be more relaxed, physically. This is especially important as you make videos because reviewers are considering your overall presentation, not just your performance. By this I refer to how you relate to your instrument, how comfortable you look as you play, how at ease you are when expressing your ideas as a musician. That's tough to do when you're worried about your delivery. Being relaxed is audible, too, so this priority is just win-win. Scope out everything: the environment (venue, lighting), instruments (piano, harpsichord), equipment, your attire options - all before your recording date/s. Allow more time than you think for this step! That means you will have to record and review before you waste any energy and time getting stuff down. Check for balance carefully - we want to hear you clearly. Make sure you're not overloading the mic. Although a video may be required your product needs to have the best quality audio you can manage, so experiment to find the best presentation for your instrument and repertoire. This cannot be emphasized enough! Remember, you want to present your playing at its best. That means the quality of your audio is the most important aspect of your submission, and it may require using external mics. Listen critically to a test before you start laying anything down (bring headphones). This is true of whatever format you must submit! A few other considerations when making videos: experiment with camera placement and angle (so you are clearly visible), your music stand placement and angle, and placement and perhaps angle of the piano (so the soundboard doesn't necessarily send the piano tone to directly compete with your projection). Besides viewing a recording of your set up for sound you'll want to check your lighting to make sure you're clearly visible yet not washed out. Allow enough time between takes to make selecting tracks easier. This can also prevent frustration from building! Avoid the "automatic gain" setting if you must use an internal mic. The simpler the mic set up used, the more "equalized" the flute range becomes in terms of dynamics. A good rule of thumb: exaggerate, especially important in unaccompanied offerings (solo repertoire, excerpts, etc.). We've worked long and hard to develop a robust flute sound, but that's only truly appreciated (and often noticeable) when there's a variety. Absense makes the heart grow fonder and all that. How to Make an Audition Video without Spending a Fortune. Really super advice here - read every word before you embark on any recording project but especiallyl a video recording! If you're making a video, consider your physical demeaner as part of the presentation. Beyond relating to your instrument, being emotionally involved effects how we hold ourselves, the facial expressions we have as we play, movement (is it excessive? is it absent?). Here are some pointers regarding making a demo (albeit vocal) - as well as what to look for when you review all those takes. How to Record (and Listen to Yourself) without Getting Totally Depressed You knew I had to include this! Great suggestions from Michael Lynn of the Oberlin Conservatory (thank you, Michael! And I promise I'll practice my traverso! ): " . . . be careful that the distance to the mic is good. It is best if you can sense the room and not have it sound like there is a flute in your loudspeaker or that you are playing from another room. It is hard to generalize the proper distance but I would be worried if it [the mic or recorder] is closer than 6 feet or more than 20. I also think it is good to choose a somewhat more live acoustic than you might normally think. If you are in really live room keep the mic closer than you normally would. One of the reasons recordings made with video cameras are often poor is that they are likely to be too far from the action to get the best sound. Also be careful with the balance of other instruments, especially piano. Generally things sound deader in a recording than in real life." And I hope you'll check out the New Year's Promotion to get Your Audition Advantage! - sign up by 1/15/17! Happy December 1, everyone! Although I admittedly have cringed a bit over Facebook pages, I finally created one to channel my flute activities through a direct social media outlet. I hope you'll check out and like my page! - @FrancescaArnoneFlutist AND to be consistent - Instagram is the same! So I hope you consider completing the interest form to help me test out this new system to help people present themselves at their best at all kinds of auditions - from college entrance to job applications to summer festivals to juries to all-region to any kind of playing test! The best thing about this (besides how much fun I'm having!) is that it feels great lending a completely unbiased, totally objective ears that have no agenda - and that may be hard to understand from a student's perspective, but simply put: I'm only here to offer one more check point. Hopefully this process will also serve as a great preparation exercise for you, so that you can see where you stand with all of your materials in one place. Of course, this process entirely confidential between the musician sending me materials and me. CYBERMONDAY+: Your Audition Advantage© Special Offer! UPDATE!!!!! Although the CYBERMONDAY+ offer expired, sign up here to learn of the New Year's special offer now. I'll let you know all the details for two different packages I'm preparing to offer! Have an upcoming audition, pre-screening application, recital hearing, competition, or other important playing opportunity? Here’s a system with flutist Francesca Arnone to secure an independent, professional, and experienced evaluation of where you stand before the big day - and all completely confidential! You'll submit recordings and videos to me online, and I will provide prompt feedback (written summary and a video, with a brief online session if desired). All of our interactions and materials will be completely confidential. UPDATE on 12/13/16: Check out the New Year's Special - good until 1/15/17!!! !